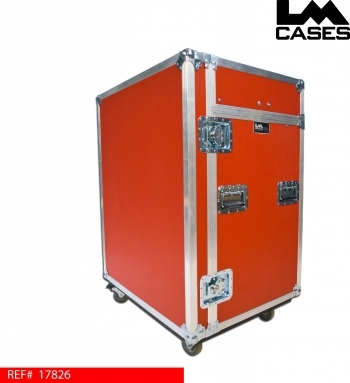 This case was built for the Saginaw Spirit hockey team. 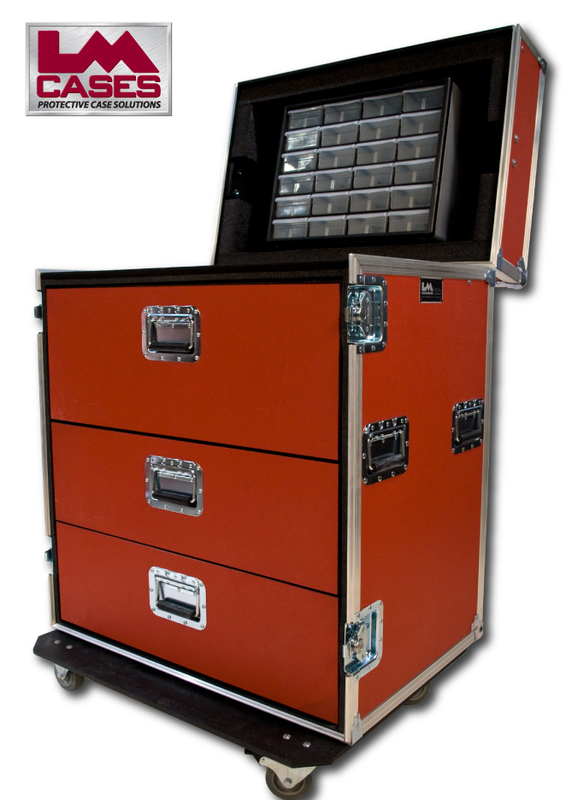 The case is built from 3/8" plywood and features a removable latched front lid and a hinged top section. 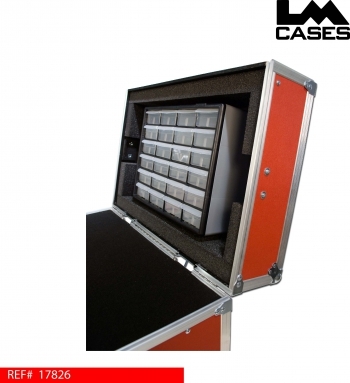 The top section of the lid features 24 plastic storage compartments for small items. The storage bins are held in place by a piece of black Comatex plastic latched into the lid section. 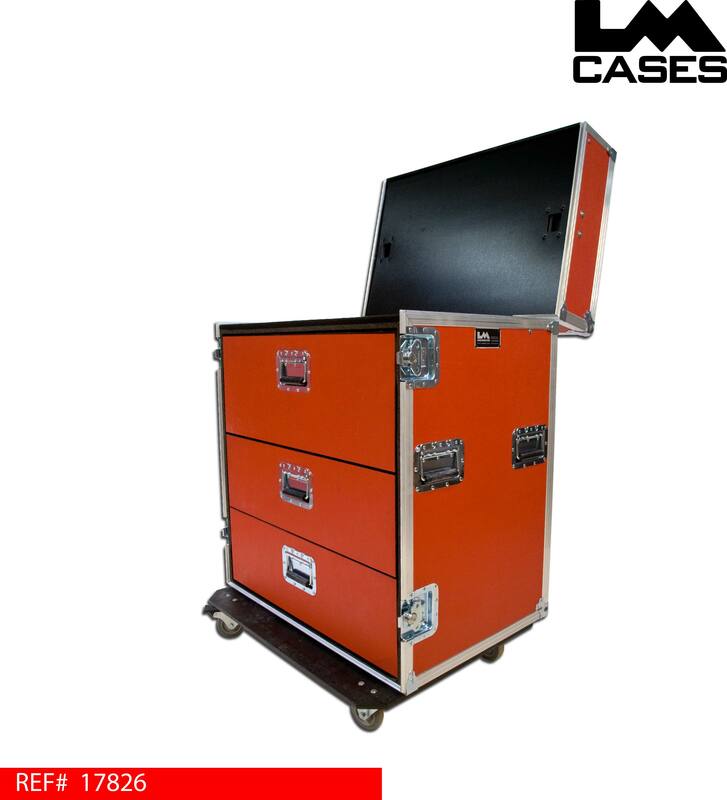 The case also features 3 heavy duty drawers mounted on Accuride drawer glides in a shock mounted shell. This allows for a very efficient work flow because all of your items are above and below your work surface at an arms length.